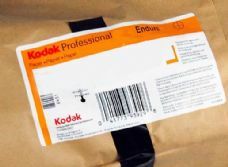 Home > PAPER > Colour PAPERS > Kodak > Kodak Endura Premier > Endura Premier MATT "N"
All Kodak Paper is now made in the USA and imported into Europe by the European distributor in the UK. We deal directly with the European distributor (who are also conveniently located quite close to us) and we have refined the list of Endura to reflect the currently available range. If we do not have your required item in stock, we can normally obtain it quickly from the distributor, provided they have it available.